Several landmark studies have implicated astrocytes in motor neuron death in ALS (see Feb 2014 news story; Apr 2007 news story; Oct 2003 news story). However, instructive animal models for examining the behavior of human astrocytes in ALS and other adult-onset diseases have been lacking. Researchers led by Su-Chun Zhang at the University of Wisconsin-Madison have now developed a new mouse model for studying the role of human astrocytes in the adult central nervous system. 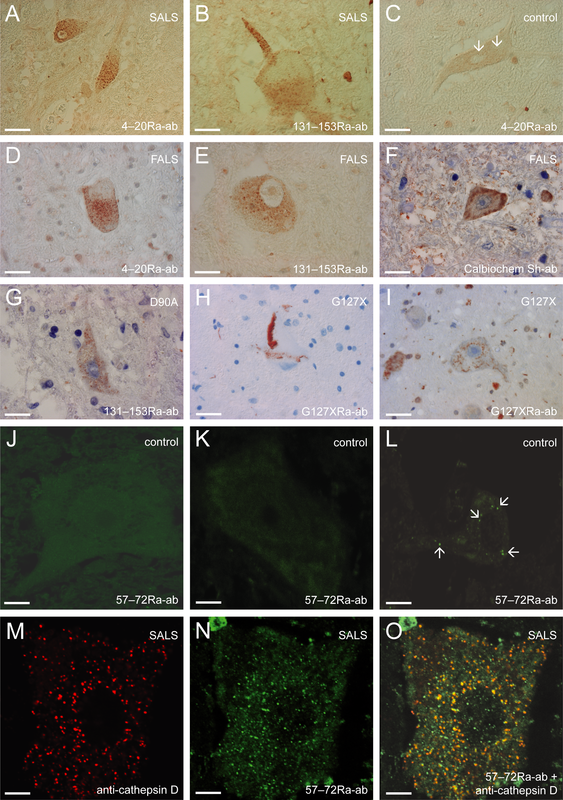 According to the publication in the Feb 2 Journal of Clinical Investigation, the researchers transplanted neural progenitors from human embryonic stem cells into the spinal cord of adult mice, and found that over the course of 9 months, the human progenitors differentiated into astrocytes and functionally integrated into the mouse nervous system. What happened when they transplanted progenitors derived from induced pluripotent stem cells from ALS patients?